Citroen has unveiled numerous images and a new video of the new Numero 9 concept that will be unveiled in Beijing. The Citroen Numero 9 concept vehicle makes its world premier at the Beijing Auto Show on April 24th, but like so many carmakers do, details of the car have been given in advance. 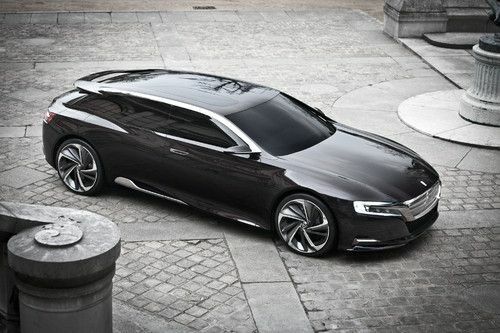 Citroen says the Numero 9 concept belongs to the DS lineup and it was previously believed to be named the DS9. With the official unveiling set to take place in Beijing, Citroen says the new Numero 9 concept‘s low-slung hatchback's design hints toward future products that will include a premium c-segment sedan, an SUV and a larger D-segment four door. If the production models look anything like the Numero 9 concept, it will be one good-looking lineup. After introducing the concept car to the Chinese, the French company plans to launch the first DS products later this year. The Citroen DS line currently consists of the DS3 Supermini, DS4 compact hatchback, and the larger DS5, and has been successful for the company as Citroen has sold more than 200,000 cars worldwide since the launch two years ago. Citroen has not confirmed that the Numero 9 will ever go to production, but company executives have confirmed their intentions to build a flagship model to carry the brand into the future. Citroen claims the shooting brake body of the Numero 9 concept has plenty of room for rear passengers and says the three glass areas in the roof creates "a welcoming, friendly cabin ambience". The French carmaker says all the design cues like the floating roof, and the glazed side surfaces that flow to the rear window will all appear on future DS models. The Numero 9 concept is powered by a plug-in hybrid drivetrain that is fitted with a 1.6-liter turbocharged engine developing 225 horsepower and 275 lb. ft. torque. The electric motor is powered by lithium-ion batteries that can be recharged in three and-a-half hours from a normal domestic outlet providing a range of 31miles in all-electric ZEV (Zero Emission Vehicle) mode. The powertrain offers a combined 295 horsepower and has the added benefit of offering all-wheel-drive. The car can be outfitted with a gasoline or a diesel engine depending on the particular market. This concept car gets remarkable levels of performance with a 0-60 time of just 5.4 seconds. And fuel efficiency of 138 mpg if the driver stays in pure electric mode. With a bold new design, Citroen may be have found their next flagship sedan that will propel them into the future and is sure to create a lot of excitement at the Beijing Auto Show. Check out the Citroen Numero 9 concept video even if you don't speak French.